Very nice! It;s hard to do shading on smaller scales. 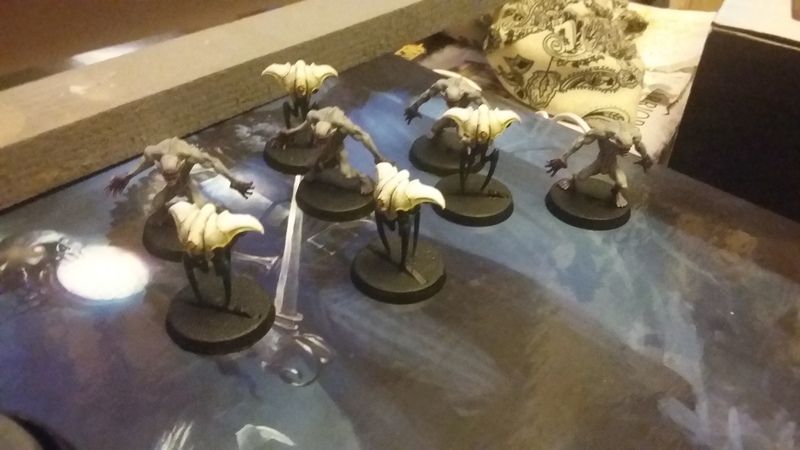 I do a considerably amount of my painting at 6mm so there 10mm models are almost twice the size, I feel like I've got so much real estate to play with! I can actually highlight individual parts! 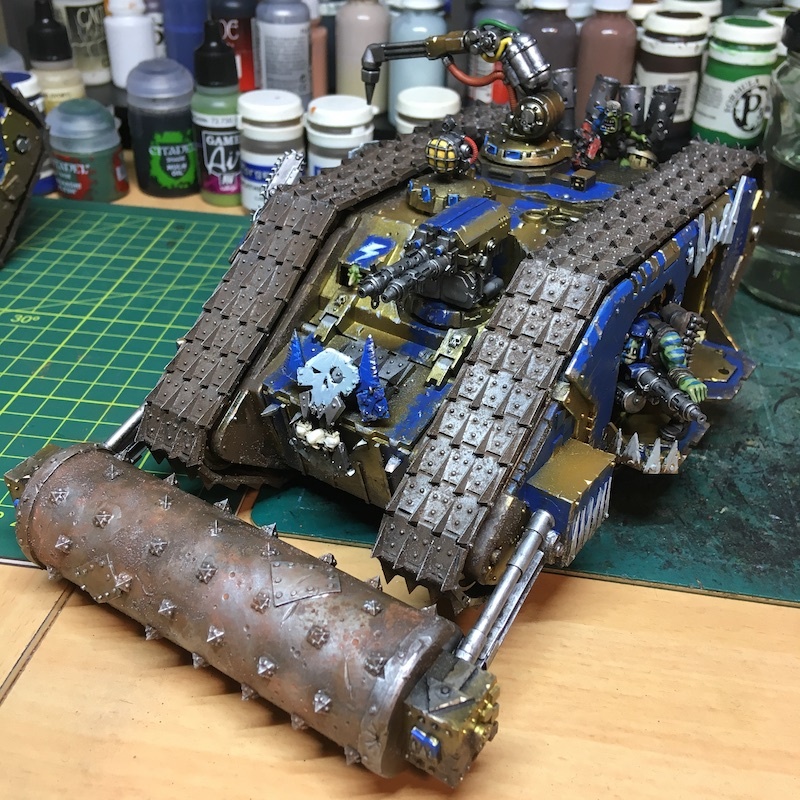 I've been painting Orks for the upcoming Arcanacon tournament (200+ players! ), after many years without ever having painted a greenskin. Nice! Where is the deff-rolla from? Those elves look great. Smaller scales look striking, more like real armies. What are they like to paint? I keep being tempted to play Warhammer Ancient Battles with 4 15mm minis on a DBA 40x15/20mm base instead of a single 28mm mini and then balking at the thought of having to paint 4 times as many miniatures. With Victrix doing good, cheap plastics now, it would also be more expensive. But it is hard not to be swayed seeing your army all arrayed like that. 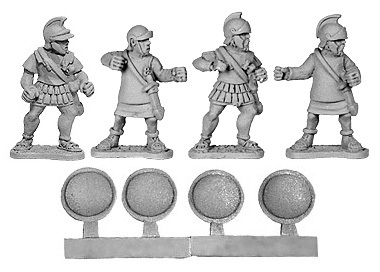 These are 10mm scale and at that size - to me at least - have the best of both worlds. Small enough that all of the 3/6mm tricks work but big enough that you can paint individual details with a normal brush (if that's your jam of course). Painting at this scale is almost always about the overall look of everything based and ranked up so making mistakes on individual figures doesn't matter too much plus simple techniques go a long way - drybrushing, washing, etc. Another nice feature is that you really can just outright ignore details and features you don't feel like painting - just hit the key stuff. For example, can you see ANY of the infantry with painted boots? General rule of thumb is to pick brighter shades of each colour you'd use on a 28mm figure as it makes them pop more at smaller scales. Use darker colours to 'hide' things you don't care about. If you've got a specific model or idea you're thinking about maybe I can talk you through how I might approach painting it at this scale? 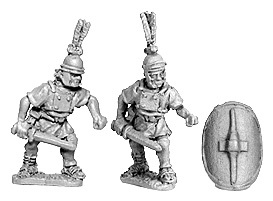 These Xyston Roman Hastati carrying your namesakes seem pretty nice for 15mm.